Millions have made the successful transition to a new life in Canada before you. So take comfort in the ease in which they met new people and forged lasting relationships in this hospitable country. If you’re still a little nervous, there’s always good old Facebook. Once you have made it to Canada you will want to quickly settle in and start to feel like a part of the community. Making friends with both locals and fellow expats is a major step in this settling in process, and will enable you to truly spreading your wings in your new home. Canada’s reputation for being one of the friendliest countries in the world was given further credence in July this year, when the Reputation Institute released the findings of its annual global reputation survey. 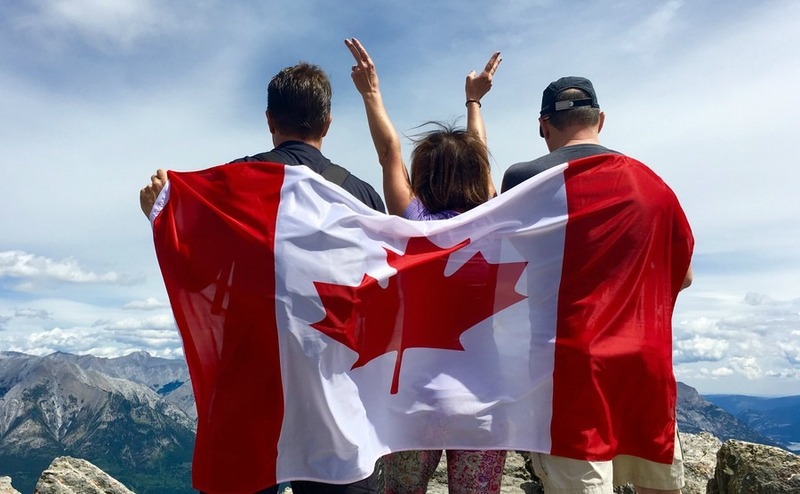 Canada retained its top spot as the world’s most reputable country – with an “appealing environment” made up of “welcoming people” being highlighted as major contributing factors. Even though Canada offers expats a welcoming environment, as the newcomer you need to take the initiative in building relationships with neighbours, colleagues and new friends. With that in mind you should be looking for any opportunity to put yourself out there and meet as many people as possible. Volunteering is a great way to become a part of the community, while giving back. Non-profits and charities looking for volunteers can be found online or through the local newspaper, or if you have children you can simply help out with school activities and coaching sports teams. Thanks to a large community of British expats, especially in the major Canadian cities, it’s relatively easy to find people in exactly the same situation as yourself, or who have already been through the initial move. Head online and you will be able to find out what bars, restaurants or planned social events are popular with the expat community. Facebook is a good starting point, by checking out local community or activity groups in your area. So are expat forums specific to your chosen destination in Canada, on which you will be able to seek advice and learn of planned events. If all else fails and you have young kids, you’re bound to make new acquaintances at the school gates. If you want a nice big home to entertain your new Canadian friends in, you’ll need to know how to get a good bargain on a great home! Read our guide: How to Negotiate Abroad. What better way to meet new people than by doing something you enjoy with like-minded people? If you love playing sports there will likely be a local team you can join, whether it’s something that’s popular back home like football or something a little more Canadian like ice hockey. This has the added benefit of keeping you fit and healthy, which along with an active social life are important factors in managing stress and ensuring you have a positive outlook. Look out for organisations such as Urban Rec that coordinate leagues and events in various sports, with varying levels of competitiveness, as well as group activities like skiing and snowboarding trips in the winter. Not sporty? Don’t worry, you’ll have no problem finding clubs and classes catering for everything from amateur dramatics and painting to dog sledding and snowshoeing. Hop on Google and your active social life is just the click of a mouse away.